Al Anabi Performance Nissan GT-R in dyno! 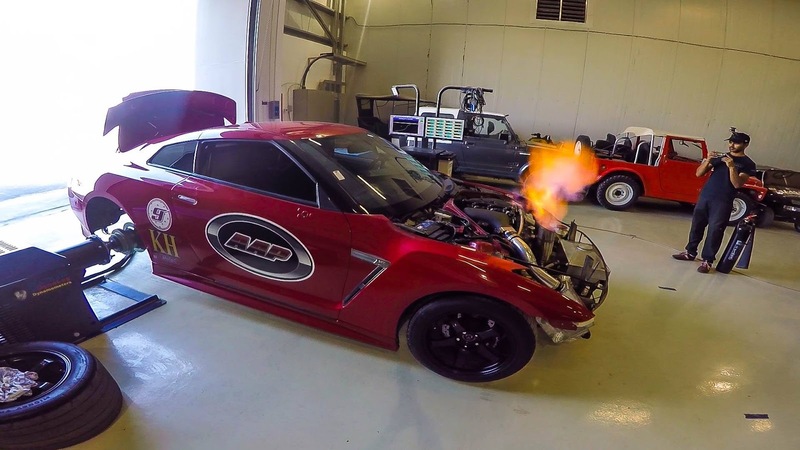 Still at mid boost Al Anabi Performance Nissan GT-R is insanely packing 2092.3hp. They later competed at the Qatar Mile the next day and reached 346km/h over half mile steered by Mahana Al Naemi on unprepared air strip! Al Anabi Performance specified Boost Logic 4.0-litre engine, Boost Logic intake manifold, Boost Logic 2200 turbo kit, Boost Logic race cooler with piping, 550lb secondary injectors, 240lb primary injectors, mechanical Weldon fuel pump, Boost Logic cams with AAP head work, Boost Logic reinforced block, MoTeC M150 tuned by Mike at AAP!